I am not usually a big fan of “retro style” figures, but if there’s one franchise perfect for the treatment, it’s the nostalgia-laden aesthetic of Stranger Things. So thankfully, Funko is more than happy to oblige with not one, but two collections of old-school figures depicting Eleven and the gang. Being released this August, the 3.75"-scaled figures will come in two collections of three, each one bedecked in Stranger Things logos and old-school packaging that is about one step removed from a fuzzy old VHS-recorded TV advertisement from being right out of the ‘80s. 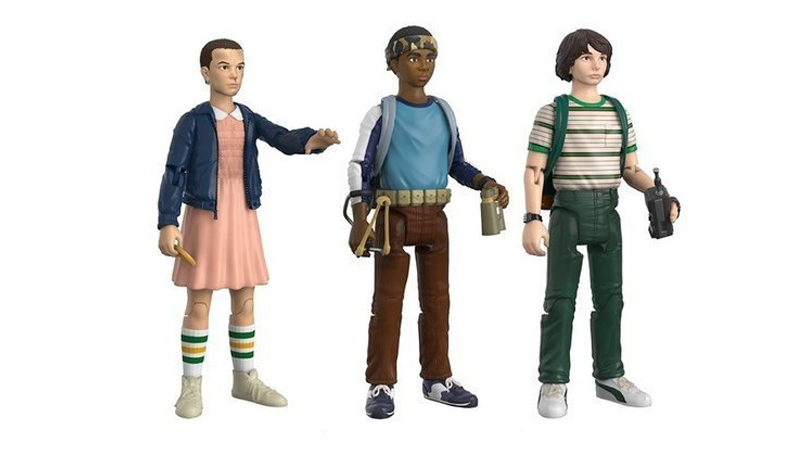 The first set will feature Eleven (who of course, comes with a lone plastic Eggo), Lucas, and Mike, while the second includes Will, Dustin, and the Demogorgon itself to terrorize the plastic kids—yes, before you say it, there’s not a Barb in sight. They’re not quite the high-end Stranger Things toys we all desperately want, but they do offer a cute and appropriate take on merchandise for the show.